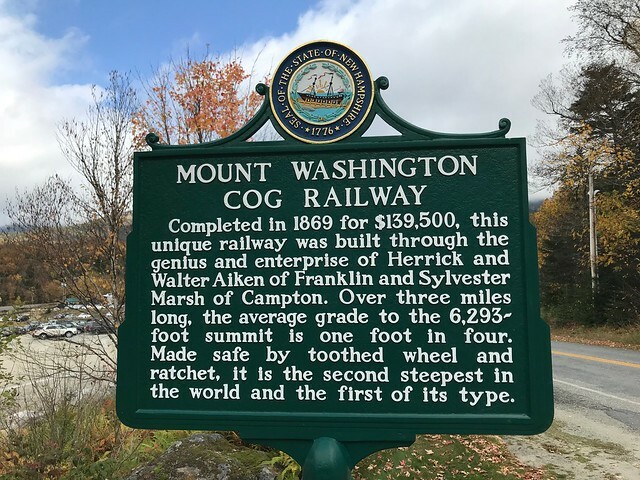 We rode the Mount Washington Cog Train on day four of our F@ll 2017 New England trip. 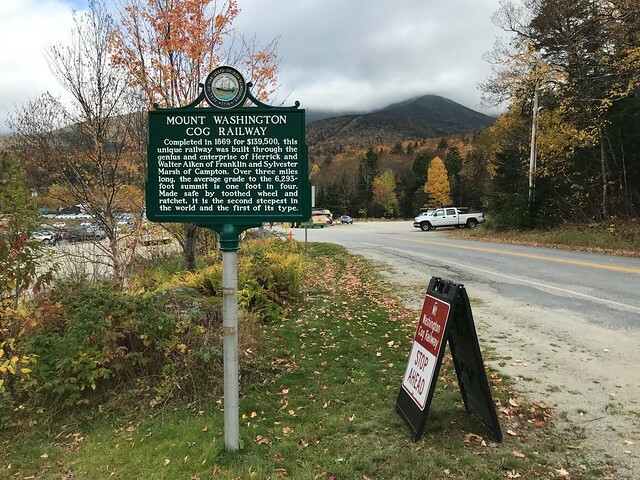 This marker is located on Base Station Road, Jackson, New Hampshire. The GPS coordinates for this location are 44° 16' 04.6" N 71° 21' 14.4" W.
Completed in 1869 for $139,500. This unique railroad was built through the genius and enterprise of Herrick and Walter Aiken of Frankin and Sylvester Marsh of Campton. Over three miles long, the average grade to the 6,293 foot summit is one foot in four. Made safe by the toothed wheel and ratchet. It is the second steepest cog railroad in the world and the first of its type.